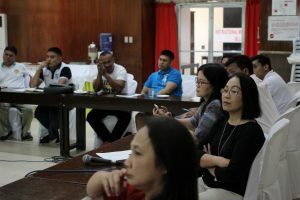 The Office of Information and Publication of Silliman University (SU) hosted the monthly meeting of the Association of Negros Oriental Public Information Officers (ANOPIO) March 29 at the Multipurpose Room of the SU Instructional Media and Technology Center. 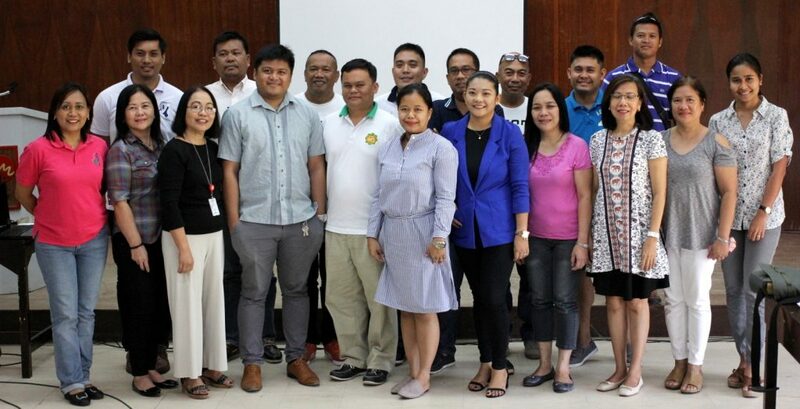 ANOPIO is an organization of municipal PIOs and information Officers of HEIs in Dumaguete organized by the Philippine Information Agency (PIA), which invited Silliman last January. It seeks to enhance the capacities of PIOs and link the HEIs such as Silliman University, St. Paul University, Foundation University, and Negros Oriental State University with the government agencies and local communities of the province. It has about 25 members. Each institution represented in ANOPIO is requested to host one meeting with an educational objective. From Silliman, the member-PIOs have requested a lecture on the Philippine Data Privacy Act. SU Vice President for Development Jane Annette Belarmino welcomed the ANOPIO group to Silliman. 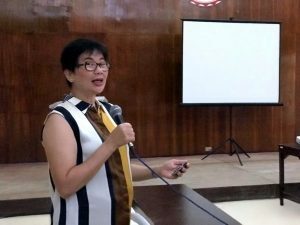 She said SU President Betty Cernol-McCann believes that this activity of ANOPIO is worth supporting, and that the university is pleased to host the meeting. Atty. 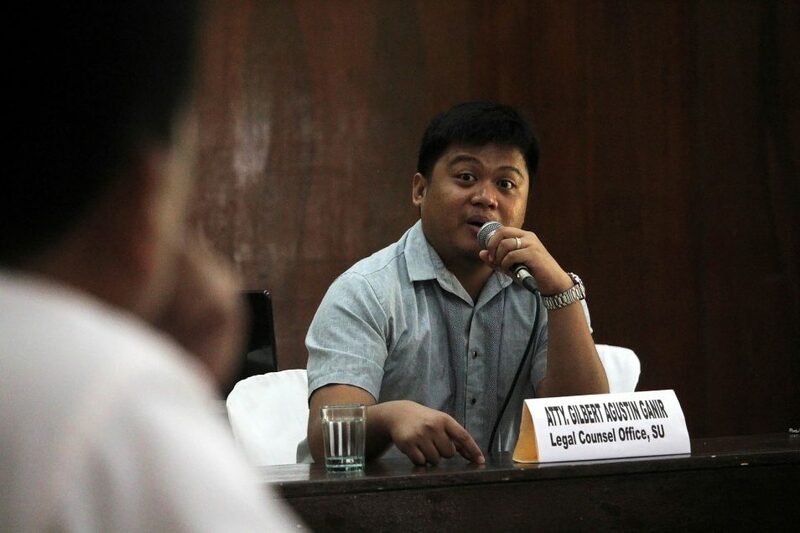 Gilbert Augustin Ganir of the SU Legal Counsel Office explained the major provisions of the Data Privacy Act of 2012. SU Recruitment Officer Yolanda Maxino and Scholarship & Aid Division Head Rodora Sagun presented SU’s academic programs and scholarships. The meeting was attended by information officers of local government units from as far as Bayawan in the south and Guihulngan in the north. 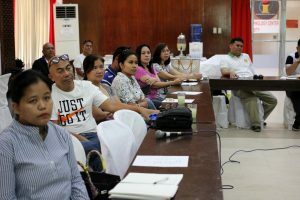 Government agencies in Negros Oriental such as the Department of Labor and Employment, TESDA, and DPWH, as well as Foundation University, St. Paul University-Dumaguete, and Silliman University were represented at the meeting.